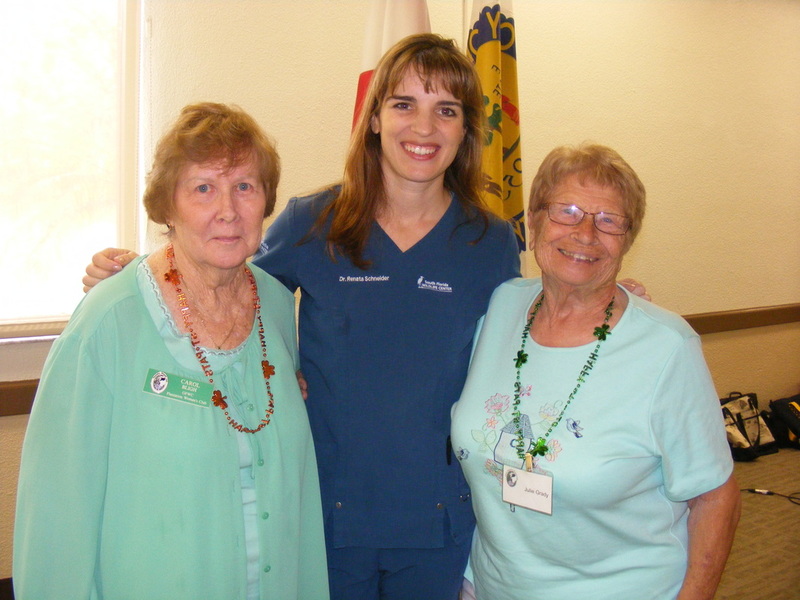 Our guest speaker was Dr. Renata Schneider, Director of Wildlife Rehabilitation at the South Florida Wildlife Center (SFWC) in Fort Lauderdale. Dr. Schneider spoke about the mission of the Wildlife Center an answered many questions from our members. Rescue - South Florida’s wildlife is being displaced by a growing population and encroaching development, which results in injured and orphaned animals coming to our hospital in terrible distress. We save wildlife through use of our three ambulances, clinical triage, state-of-the-art diagnostics and expert veterinary treatment. We are saving lives 365 days a year. Rehabilitate - Saving the life of an animal begins the rehabilitation process for injured and orphaned wildlife. Our staff provides specialized therapy and treatment to support an animal’s full recovery in preparation for release back to natural habitat. Our nursery team provides neonatal-like care for orphaned animals, and our habitats are designed to facilitate conditioning so that upon release, our wild patients leave in the healthiest condition possible. animal who enters our hospital. Our release work includes the re-nesting of baby animals back with their parents and facilitating releases back home for animals once they have fully recovered from their injuries. And Educate - Ninety percent of the animals who come into our center suffer from injuries that are the result of negative interactions with people. We work to educate the community about wildlife and how each of us can peacefully co-exist with our wild neighbors. In addition, SFWC is a teaching hospital that provides an intern/extern program for veterinary students, future rehabilitators and others looking to pursue a career in any of the life sciences.